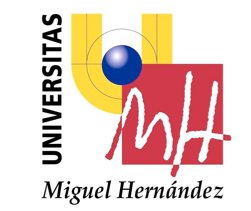 Miguel Hernández University, UMH, was established in 1996 and began its academic activities in the 1997/98 academic year, being one of the newest public universities in Spain. UMH has 4 campuses (Elche, where the central administration is placed, Sant Joan d’Alacant, Orihuela, and Altea) and there are 16,000 full‐time students and 24,500 alumni since the university’s creation. The UMH has 9 faculties (Faculty of Fine Arts, Faculty of Experimental Sciences, School of Engineering of Elche, School of Engineering of Orihuela, Faculty of Social and Legal Sciences of Elche, Faculty of Social and Legal Sciences of Orihuela, Faculty of Health and Social Sciences, Faculty of Pharmacy, and Faculty of Medicine). Regarding academics, UMH offers 25 bachelor’s, 44 master’s, and 16 PhD programs. The UMH has also several Research Centres, including the Instituto de Neurociencias (recognized as “Severo Ochoa” Center of Excellence), Instituto de Biología Molecular y Celular, Instituto de Bioingeniería and Centro de Investigación Operativa. Within UMH, the applicants are part of the Faculty of Medicine, Department of Physiology, and the Instituto de Neurociencias (IN), Ocular Neurobiology Group of the Cellular and Systems Neurobiology Unit. The Faculty of Medicine at UMH is responsible for administrative management and organization of the training that leads to undergraduate degrees in medicine, physiotherapy, podiatry, and occupational therapy. It is also responsible for the administration of ten master degrees on: Development Cooperation, Infectious Diseases and International Health, History of Science and Scientific Communication, Clinical and Surgical Research, Primary Health Care Research, Clinical Medicine Research, Emergency Medicine, Occupational Risk Prevention, Public Health, and in Neuroscience: from Research to the Clinic, the latest taught by and at the IN. 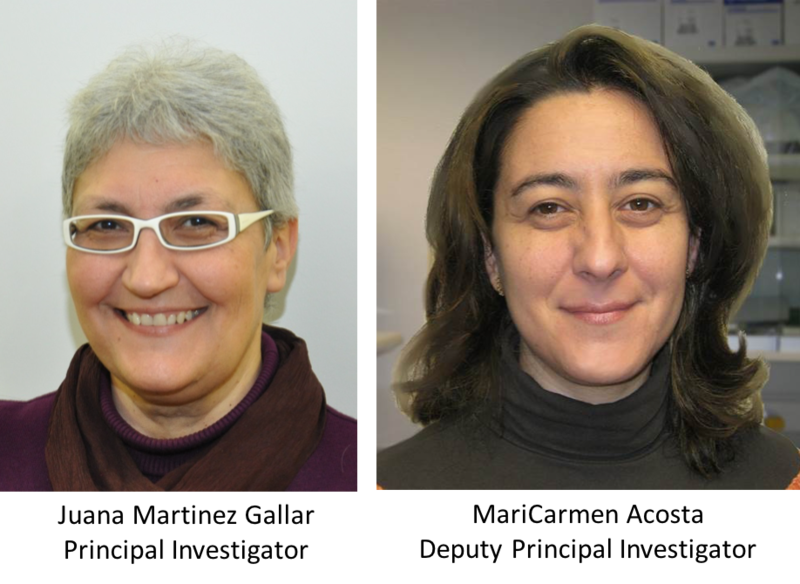 Prof Gallar is Deputy Director of the Instituto de Neurociencias, UMH‐CSIC, leader of the Ocular Neurobiology Group and Full Professor of Physiology, Department of Physiology, Faculty of Medicine, UMH, Sant Joan d’Alacant, Spain. She obtained her M.D. degree (1983) and Ph.D. in physiology (1991) with honors (Prize to the best Doctoral Thesis) at the University of Alicante. She was appointed Assistant Professor and Associate Professor of Physiology at the University of Alicante Medical School. In 1991 she performed a post‐doc period with Dr. John H.K. Liu at the Eye Research Institute of the Retina Foundation (Boston, MA, USA) working on the regulation of IOP by chronic stimulation of the sympathetic nerves in conscious animals. Dr. Gallar has been visiting scholar at the University of California San Diego (La Jolla, CA, USA), associated researcher of the CRCERT of the University of New South Wales (Sydney, Australia), and clinical researcher and Senior consultant at the Cornea Unit of the Eye and Ear Department, University of Helsinki (Helsinki, Finland). She received senior research fellowships from the N.A.T.O. and the Salvador de Madariaga Program. Dr. Acosta is Associate Professor of Physiology at the UMH Medical School and principal investigator at the Ocular Neurobiology Group, Instituto de Neurociencias, UMH-CSIC, Alicante, Spain. She studies the mechanisms underlying neural activity of sensory neurons innervating the ocular surface, and their contribution to protective reflexes (tearing, blinking) and trophic maintenance of the cornea.